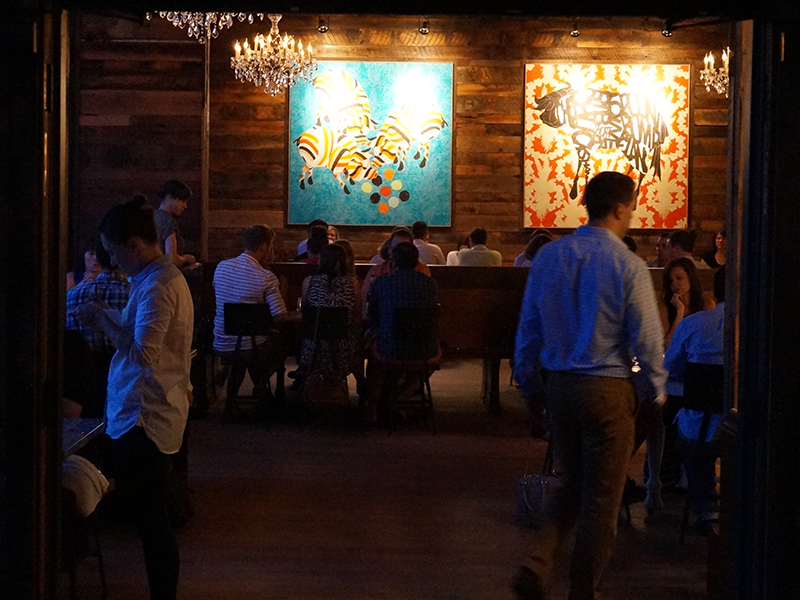 Heyday, which opened a few months ago, has been getting a fair bit of buzz. I am generally ambivalent about buzz but when Doug Flicker of Piccolo tweeted about an excellent meal he’d eaten there that was all the recommendation we needed. And sure enough we had a very good dinner there last week. 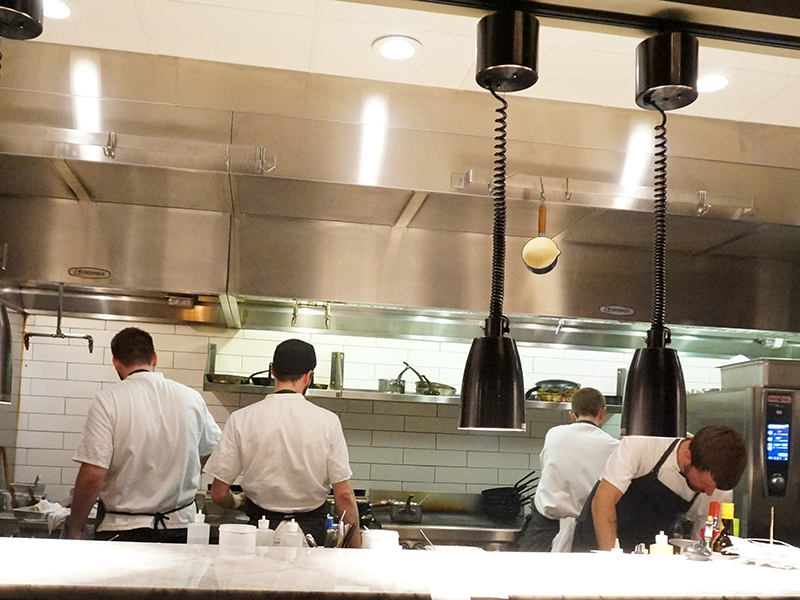 I’m not too clued into the who’s who of the Twin Cities fine dining scene but it appears there’s a dream team of sorts behind the restaurant. The chef, Jim Christiansen, has worked at La Belle Vie and Sea Change among other area stalwarts and relatively recently staged at Noma in Copenhagen. If, like us, you’re in the minority that is not crazy about La Belle Vie then you’ll be glad to know that the Noma influence seems more pronounced. That is not to say that they serve avant-garde food but that a modernist influence (complete with the molecular gastronomy toolkit) is brought to bear on a strong foundation of classical techniques and flavour combinations. Also thankfully missing here is the ridiculous La Belle Vie “theater of fine dining” experience, which on our last visit (well before I started this blog) veered on self-parody. La Belle Vie seems to expect you to be impressed with your meal before you sit down; Heyday is altogether more relaxed. Now, I’m not saying that I have anything against formal dining per se; I’m merely saying that our experience of La Belle Vie was of a not very convincing performance of formal dining which fell apart when we asked questions about the food etc.–and we didn’t think the food itself was anything very remarkable. But enough about La Belle Vie. Heyday is not La Belle Vie in feel or look or approach (or price) but it is very serious about food. Before I get to the food, a few words about the space. It is quite lovely. You enter through an attractive bar area, which must be very nice when there are actually people there (we dined on the Saturday of the 4th of July weekend); the main dining hall, open, with well-spaced tables, sports lots of dark wood and large pieces of striking art by a local artist (whose name escapes me), and is beautiful and welcoming. There is also a private dining room that seats 12 or so that sports similarly striking wallpaper designed by the same artist. There’s an open kitchen and the staff are dressed in civilian clothes. This last posed a bit of a conundrum for us on an occasion or two when, unable to track down our own server, we were at risk of flagging down other diners on their way to the restrooms. 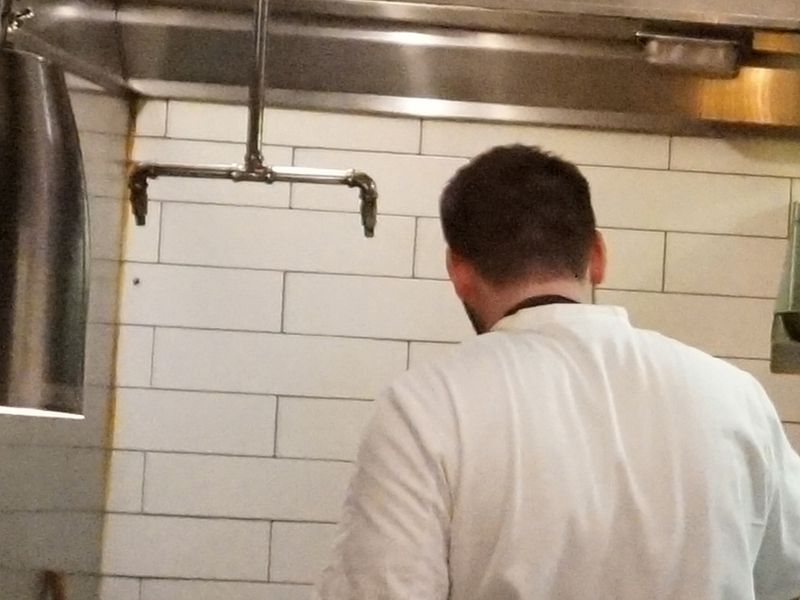 As for the open kitchen, we were seated right by it and noticed almost immediately an unsightly part of one wall (click on the photograph at right for a closer view). It had no bearing, of course, on the food or service but, alas, is the kind of thing that once you notice it you can’t stop noticing every time you look around. It’s a lovely restaurant with an obvious eye on aesthetic detail and they’ve been open more than a few months now–it’s probably time to take care of that corner. But this is all the criticism I have in this review. Everything about the meal itself was very good. On to the food! Though the menu does not discriminate between appetizers and entrees there’s a dividing line by price. Currently, everything above $10 is an entree (starting with the branzino). By the way, the “sample menu” listed on their website at this time is the actual menu–I’m not sure if they’re going to be changing/amending it on a regular/frequent basis; from a cursory glance at some other reviews it does appear that we ate slightly different versions of some dishes. We asked and were told that the entrees were large enough that the standard one starter-entree-dessert order per person would be more than sufficient. As you’ll see we deviated from this a bit. (There were two of us and we pretty much shared everything liberally.) Please click on an image below to launch a large slideshow with detailed descriptions. For some reason you have to ask for bread. We did. The sour dough was excellent as was the house-cultured butter; I was less enthusiastic about the roll/muffin thing. Chilled Blue Mussels. The mussels are not visible here under a cloud of what is a sort of chilled yogurt snow. Under the white cloud is also pickled cucumber and dill. At first I was not crazy about this but as it got less chilled and I become better able to taste everything it was rather good. Lamb Tartare. This was very good indeed, if not very lamby. Very nice texture on the meat and the slightly smoky chilli aioli put it over the top. I enjoyed the artichoke chips scattered over it fine but I don’t know that they added much. The toast was great and eating just the tartare on the toast without additional crispy bits would have been goodness enough for me; I’m simple that way. Roasted Monkfish. This was our server’s recommendation over the branzino and it was very good indeed. The monkfish was perfectly cooked and with the pine nut sabayon draped over it went very well with the roasted cauliflower. The pine nuts and the asparagus provided nice textural contrasts. Roasted Squab. This was just excellent. The squab was perfectly cooked and there wasn’t a gratuitous thing on the plate, from the fig to the greens to the berries. The little pie with the squab’s innards was very nice too. The menu description notes cocoa as well but I can’t say I remarked it. At this point we decided to order another entree. This is not because the portion sizes were too small. It was instead because 1) we are greedy, 2) we had not eaten for more than 8 hours, 3) we had enjoyed the monkfish and the squab so much that we wanted to eat some more, and 4) we were not enthused by the desserts as described on the menu or seen floating by to other tables. And we were very glad we got this Rabbit Royale. Served two ways with the grilled leg and a cylinder of ground rabbit with pork and foie gras, all with shaved carrots, carrot puree and cashew butter etc.. High-end comfort food. We split one dessert and of our server’s recommendations this seemed the most promising: there’s milk chocolate and a hazelnut crumble with a malted milk foam-like topping (as you can tell, I wasn’t paying proper attention to the description). At any rate, it was better than it sounds but it didn’t rock our world. All of this plus a glass of wine and a cocktail and tax and tip came to just about $120. And that is a screaming deal for the quality of the food. They’re open late as well with a limited late-night menu (that now features the lamb tartare) and in a fantasy world in which we still get to go out to shows or late movies we would happily slide into the bar on our way home for a late bite or two. They’re also starting weekday brunch this week, I believe, and I’ll be interested to track that development as well. In sum, we enjoyed our meal at Heyday very much, would recommend the restaurant and look forward to eating there again. This entry was posted in *Food, Minnesota and tagged Heyday, New American Cuisine, Twin Cities Dining. Bookmark the permalink. I have eaten here. It is a whatever kind of place imo as evidenced by how long it took me to recall when I dined, with whom and where it was (about 6 weeks ago, with another couple, on lyndale near better places to eat). Which are the better places to eat at on Lyndale?